One of my favourite photographs of the London Underground was taken on New Year’s Eve, 1962. It doesn’t feature any trains or tunnels. There are no platforms, escalators or booking halls to be seen. It doesn’t even include a station. 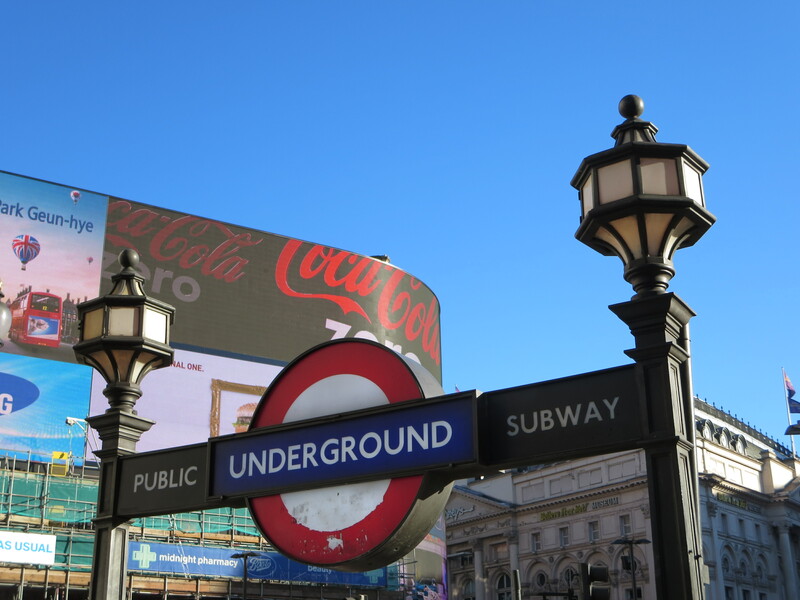 Instead, it shows a group of people standing by one of the subway entrances to Piccadilly Circus, balloons and cigarettes in hand, wrapped up in coats, hats and boots, waiting for something to happen. Around them, all is snow and slush and electric lights and excitement. The Swan & Edgar department store rears up behind, by now well into its dotage but still a commanding presence. And somewhere down below, oblivious to all of this, ignorant even of the turning of the year, the Underground goes about its business. The photograph, which I’ve uploaded here, was taken by Edwin Sampson, whose work appeared in a number of newspapers in the early 1960s. It doesn’t look particularly posed or staged; it could almost be a snapshot caught on camera by a tourist or passer-by. Yet it bears the traces of a professional. You can tell this from the way the scene is lit so beautifully, but so casually. The Underground roundel and ornamental balustrades look particularly gorgeous. They feel almost on a par with the Christmas decorations. They’re certainly of equal elegance. Monochrome is a wonderful leveller. While it reduces contrasts, it also raises everyday objects to the same status as the exceptional. The subway entrance is the star of Sampson’s photograph; the balloons and fairy lights and handsome loiterers form part of the supporting cast. Today, the entrances still look almost as good as they did half a century ago, though daylight and colour shows up rough edges and shabby hues that can be hidden in a black-and-white photograph. 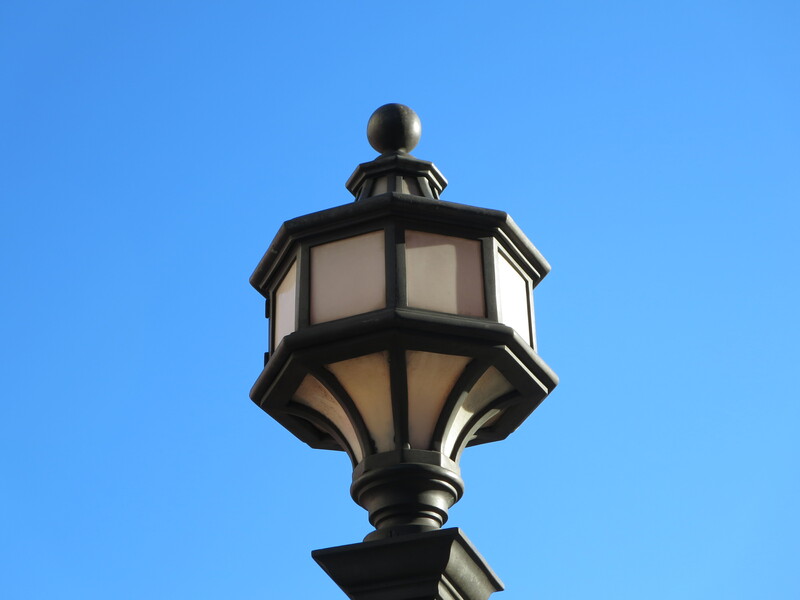 The lampposts are bearing up the best. The roundels have become targets for stickers and adhesive calling cards, which even when removed leave a nasty residue. It goes without saying the rest of Piccadilly Circus has changed. There is more sprawl and less subtlety; greater pretension and nowhere near the same reticence. But then the same goes for most of central London. It’s just a question of adjusting your expectations. You can still mooch moodily by Underground subway entrances – so long as you don’t mind doing it next to cacophonous traffic or alongside gutters full of free newspapers and discarded Big Bus Tour ponchos. 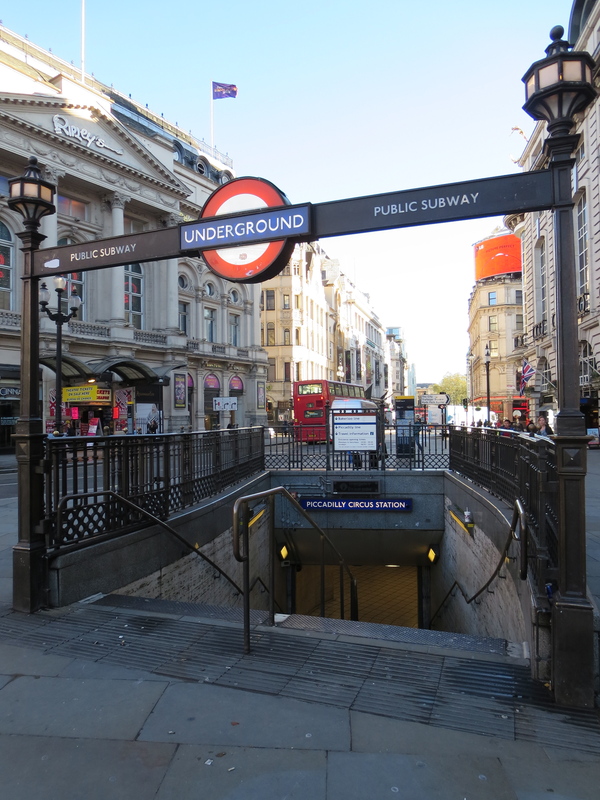 When the day comes I finally sit down and write that musical about the Underground I’ve been mulling over for about 20 years, these particular subways will be one of the key locations, along with the steps at Wembley Park, the escalator at Canary Wharf and the whole of Gants Hill. Until then I’ll continue to gaze wistfully at the graceful furnishings with their evocations of make-believe days and frosty nights, and dream of Piccadilly palare between me and the boys in my gang. Wonderful, this is I think my favourite post here, your Dollis Hill one also brilliant. What a shame you’ll be finishing soon, wish it wasn’t so. Thanks Colin. I hope I can make the remaining posts prove just as enjoyable!